Imtiaz Sait trained B Fifty Two who had failed to justify expectations on a couple of occasions during the season, managed to break the winless sequence of the last two seasons and staved off the challenge of Frivolous to win the 2000 metres Hyderabad Race Club Trophy, a race for horses rated 80 and above, the feature event of Friday`s Mumbai races. With the season on its last legs, the quality of fare on offer continued to be poor, with the drought of fresh horses in the highest class being highlighted by a jaded lot of horses lining up for these races week after week. The five horses that were in the fray for the feature event had met on several occasions in the recent past and it was only a question of who got his got right rather than form holding forte. B Fifty Two had been a let down losing to horses whom he could have beaten with ease in the past. Vulcan who had a win to his credit in the early part of the season was widely reckoned to have a better chance than the rest. Square Moon set the pace with B Fifty Two being kept in the second position ahead of Vulcan, Gloriosus and Frivolous. B Fifty Two assumed command approaching the final furlong and surged ahead. Vulcan gave a chase, but it was clear that he would come out short. Frivolous along the rails rallied well but B Fifty Two had enough cushion to squeeze out a narrow win. Vulcan was a disappointing third. The fact that a seven-year-old won the race highlights the quality of the field and there was not a single four-year-old contesting for the feature. 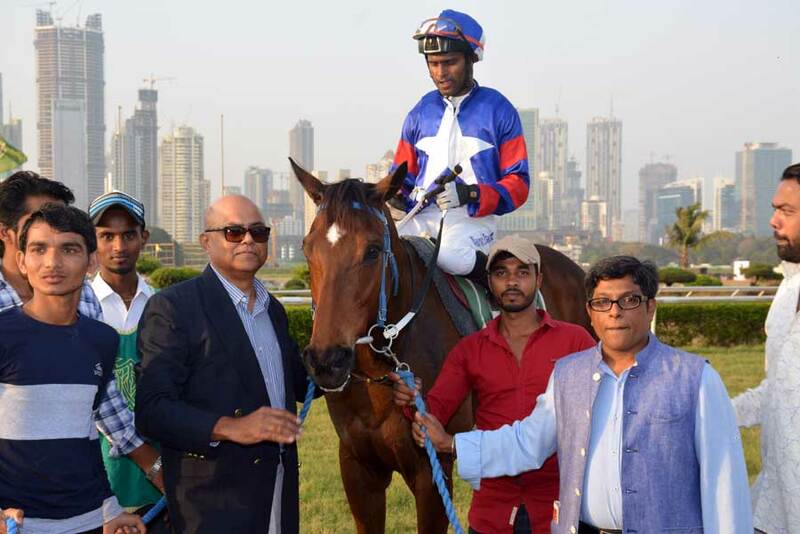 C Rajendra trained Bakhtawar who had been consistent this season recorded a comfortable win in the 1600 metres Jayant M Shah Plate, a race for horses rated 20 to 46 at nourishing odds. 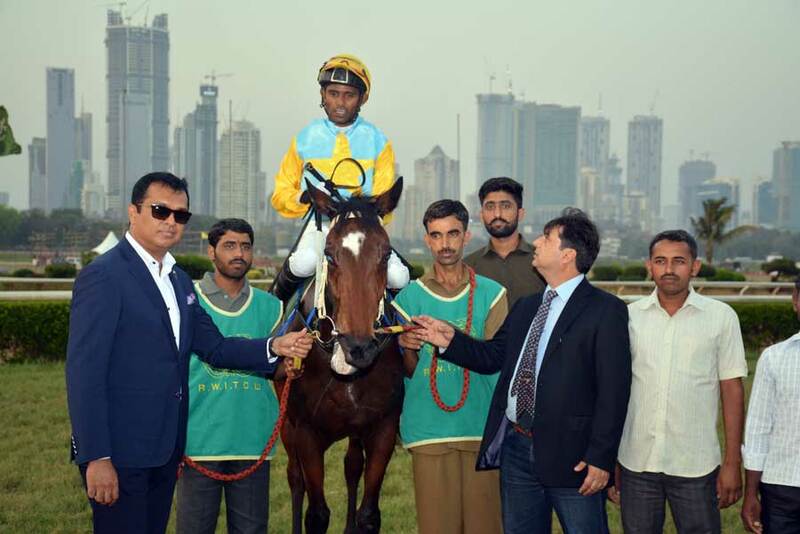 Jockey Neeraj Rawal brought the lesser fancied runner into contention with a ground-saving effort along the rails and the progeny of Multidimensional got the measure of the front-runners close home. Hodson`s Horse was second ahead of Gold Medalist who held off Strong Storm to save place money. Aurora Australis ran detached from the field. Pesi Shroff trained Mirabilis who had the benefit of a good race run just about scraped home in the 1200 metres Raza Ali Plate, a race for maiden three-year-olds. Neeraj Rawal had the favourite Mirabilis take charge with a furlong left in the race and was confronted with a strong challenge from Dream who came up with a spirited run. Dream even put her head in front but Neeraj managed to extract that bit extra from the favourite as compared to jockey Santosh and snatched victory from the jaws of defeat. With a stronger rider in the saddle, Dream should have won with a measure of comfort. Debutant Hidden Gold nosed out Cipher to get the third position. 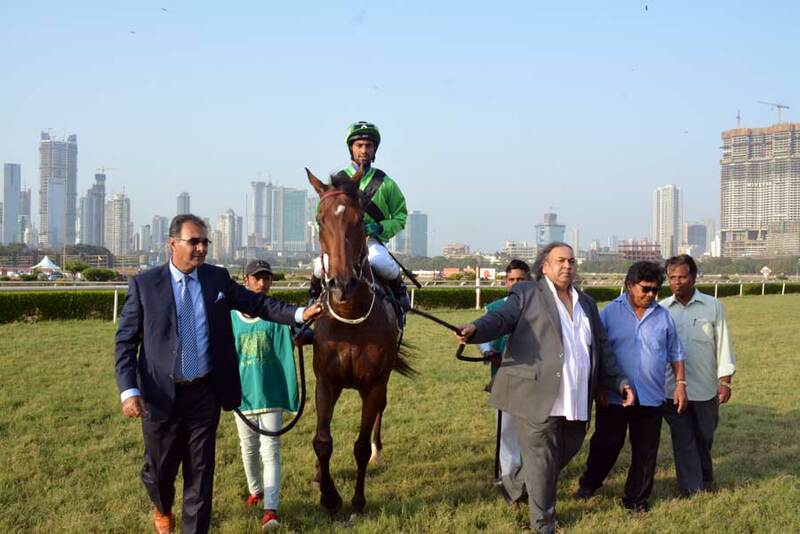 Vinesh trained Juno`s Quest had served notice of an early win with an eye-catching second behind Lorraine and was backed with conviction to land the spoils in the 1200 metres Rustomji Byramji Trophy, a race for horses rated 20 to 46. 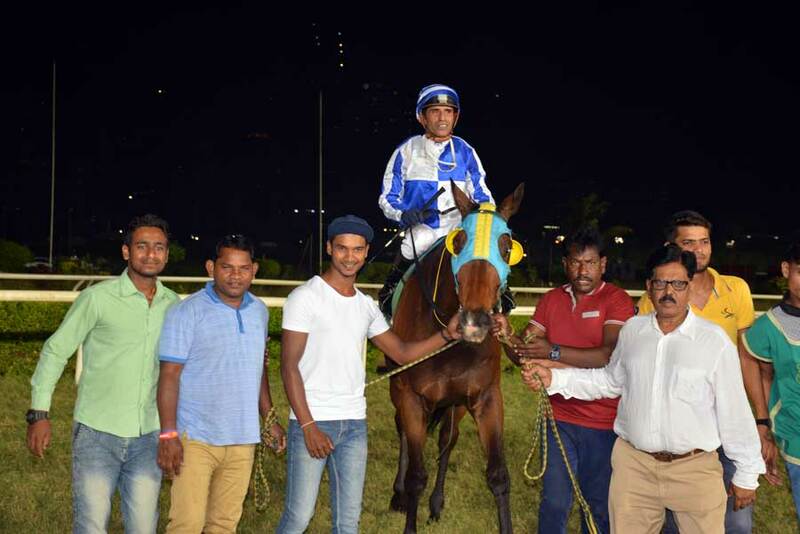 Jockey Akshay had Juno`s Quest always in a handy position and allowed the favourite to spurt clear in the final furlong for a decisive win. Last start winner Transform went in the chase but found the winner too good for comfort. Run Forest Run managed to keep the third position by a whisker over Quail Hollow. 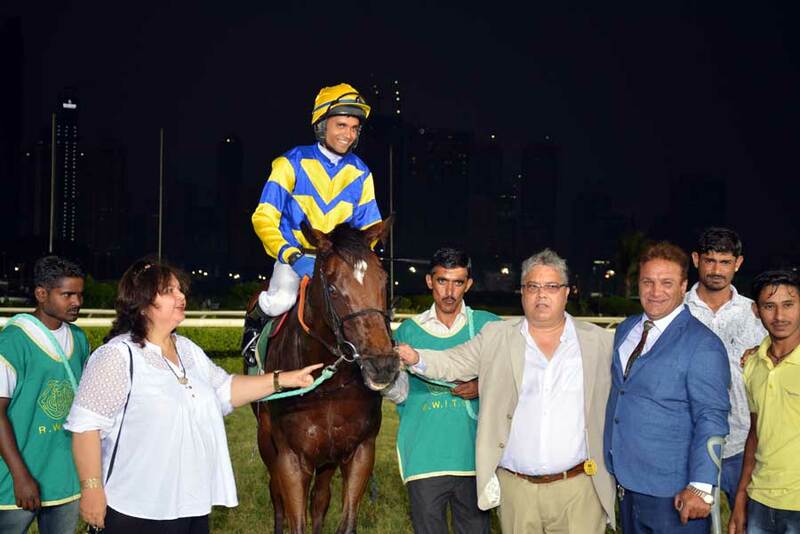 Deepesh trained Kingsman recorded the fourth win of the season when staving off the spirited bid of Questionable in the 1400 metres V P Koregaonkar Plate, a race for horses rated 40 to 66. Apprentice jockey A S Peter who is doing a competent job, pushed Kingsman into the lead inside the final 200 metres and the progeny of Phoenix Tower established a good cushion which held him in good stead. The late charge by Questionable went in vain by a narrow margin. Arc Shine kept the third position. 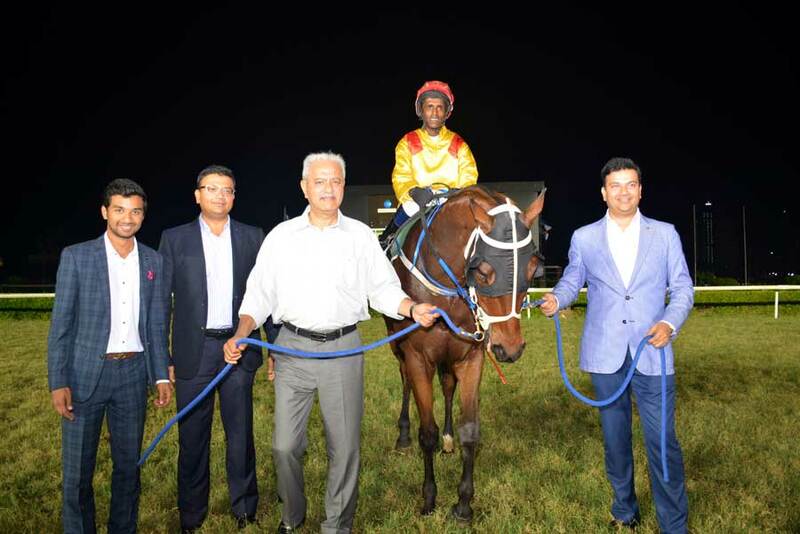 In what appeared an open type of betting race, last start winner Deccan King from the stables of trainer Antia was guided to victory by jockey Pradeep Chouhan in the 1400 metres S A Wahid Plate, a race for horses rated 4 to 30. Deccan King shook off the front-running Whoopsidaisy with a furlong left in the race and spurted clear. The well-fancied Shivalik Skies came up with a big challenge but found the seven-year-old escape to victory. Tianjin Honey was third.